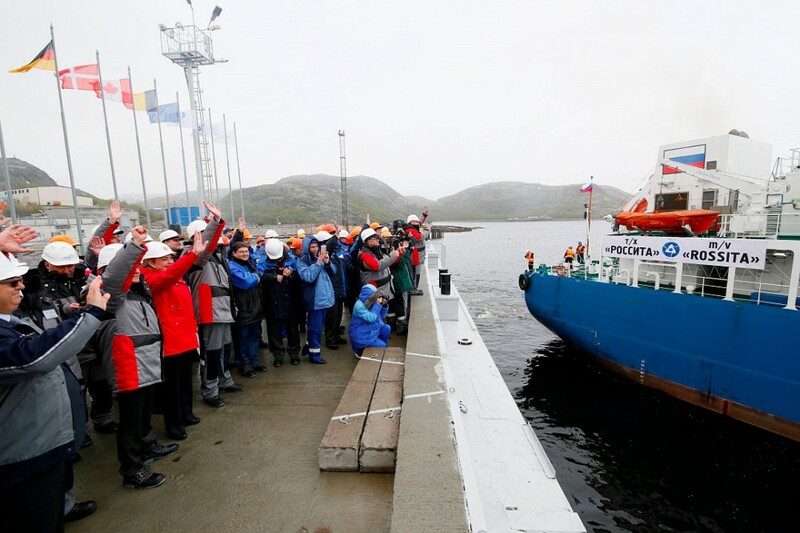 A top brass of Russian and Norwegian politicians, diplomats and experts cheered and waved as the «Rossita» nuclear waste transportation ship set out to sea with its first shipment of carefully packed spent nuclear fuel. But in the air was also a chill of anxiety about what possibly could go wrong as the tons of deadly load is removed from site. 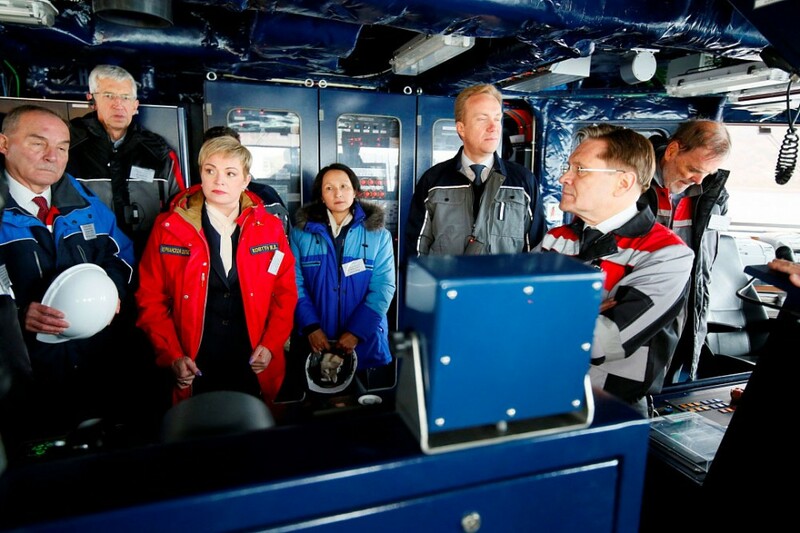 «It made a strong impression, I was actually pretty touched when the ship set out from the port,» says Norwegian Foreign Minister Berge Brende. He headed the Norwegian delegation which had come to attend the event. Over the last 20 years, Norway has spent about €30 million to support the cleanup of the nuclear dump located only about 50 km from its border. On board the «Rossita» was 470 spent nuclear fuel elements. That is only about two percent of the total waste material stored in Andreeva Bay. Back on site is more than 19,500 elements. The storage site on the Barents Sea coast is among the biggest in the world of its kind. And for decades, the highly poisonous materials were stored under open sky and in truly bad conditions. «It is a big day for the environment, for Russian-Norwegian cooperation, for people in Finnmark and the Kola Peninsula and all the ones who care about the Barents Sea», Brende underlined in a press briefing following the event. The Norwegian minister had traveled from Kirkenes, the Norwegian border town, to the nearby Russian storage site on a day trip. Security in the area is massive, and the Norwegian press had been prohibited to attend the event with cameras. Nearby are several of Russia’s most potent Navy bases, some of them home to the country’s new and modernized fleet of nuclear-powered submarines. The Andreeva Bay houses decades of Soviet legacy, a testimony of neglect of security and environment. Most of the about 20 thousand of fuel elements on site stem from the dozens of Soviet submarines which once sailed the worlds seas and took part in the superpower’s war-games. Now, Russia is trying to cope with the consequences. And will have to do that for decades to come. Only the clean-up of the Andreeva Bay will take years, possibly more than a decade. It was the Bellona Foundation which was instrumental in shedding light on the situation in Andreeva. The reports from the Norwegian environmental NGO in the early 1990s triggered an international outcry and a subsequent wave of efforts aimed at cleaning up the site. Since then, several countries, among them Norway, UK, France, Germany, Italy and others have granted support. That cooperation is likely to continue for several years to come. At least, Norway is ready to keep up its support. «I believe we have resources to continue this cooperation», the Norwegian minister told the Barents Observer. During his one-day visit across the border, Brende met with both Murmansk Governor Marina Kovtun and Rosatom leader Aleksey Likhachev. 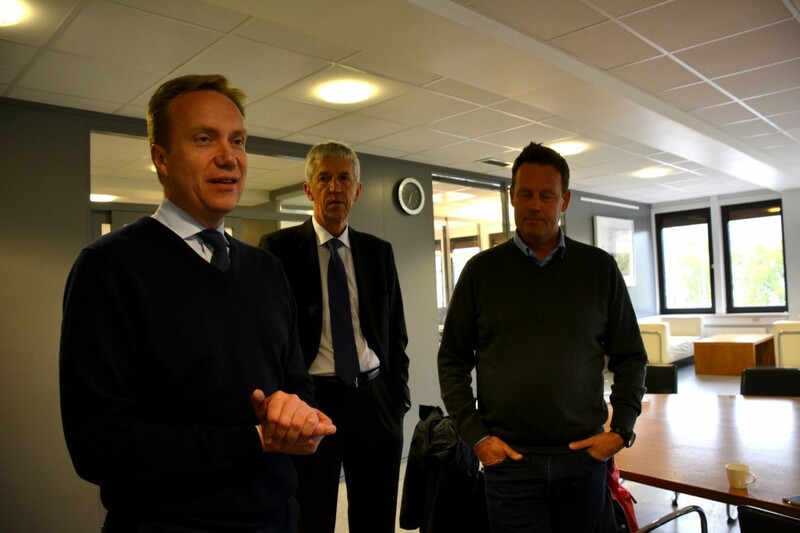 «It is my clear impression that both of them are very open and interested in this cooperation», Brende says. «It is remarkable that we manage to do this project in a situation when the relationship between Russia and Europe is not at its best, it shows that this kind of practical cooperation can continue and should continue as before». «Truly a historical day», Brende reiterated, and was echoed by Ole Harbitz, leader of the Norwegian Radiation Protection Authority. «Without this removal of the waste, things would have become much worse» he underlines. He argues that the engagement from Norway and the other stakeholders has been vital for progress on site. Harbitz has been in Andreeva a number of times and has followed developments closely from scratch. He underlines that a remarkable change has taken place and that security on site now is good and that it all today «looks like a real nuclear waste storage site». But in the pipeline are danger in abundance. The spent fuel elements are first removed from their containers and then taken aboard the «Rossita». Then it is shipped to Murmansk and there put onboard special-built train wagons. The trains will subsequently run through half of of the country, from Arctic Murmansk, through heavily populated areas in central Russia and to the reprocessing and storage site in Mayak, not far from the city of Chelyabinsk. Each and every part of the operation is linked with risks. «It is a historic day indeed, but we must not forget that perhaps the most difficult work still lies ahead of us,» says Nils Bøhmer, General Director of Bellona. He confirms that some of the fuel elements will be very difficult to handle. Bøhmer believes valuable experiences will be gained through the first phase of the project and that suitable approaches and technology will ultimately be found for the last and most hard part. «Because if something happens, then that would affect Norway and especially the people living up north in Finnmark,» he says. It could also seriously harm the marine environment of the Barents Sea, the environmentalist underlines. Bøhmer also calls on Norwegian authorities to exert pressure on Russia to get to know more about the reprocessing and storage in Mayak. That is confirmed by Nadezhda Kutepova, the environmental activist who was forced to flee from the town. In an interview with the Barents Observer, Kutepova says that the Mayak’s reprocessing activities are dangerous and that it is a «very bad idea to send more waste». …. we hope you enjoyed reading this article. Unlike many others, the Barents Observer has no paywall. We want to keep our journalism open to everyone, including to our Russian readers. 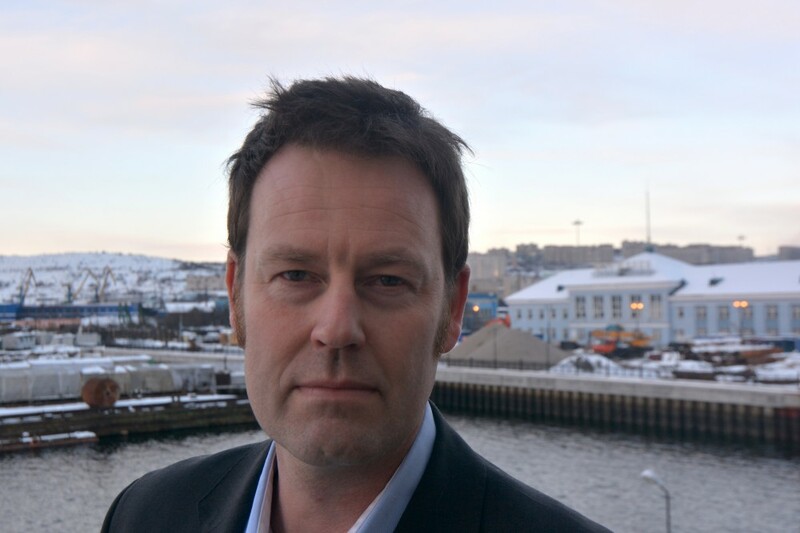 The Independent Barents Observer is a journalist-owned newspaper. It takes a lot of hard work and money to produce. But, we strongly believe our bilingual reporting makes a difference in the north. We therefore got a small favor to ask; make a contribution to our work.